At BSD, what we do best is take your most essential software tools, and help make them into the product they should have been in the first place. Our products fill the gap. You get more security, more power and fewer quirks than the software currently powering your favorite electronic and online activities. Whether your current software tools have been getting on your nerves or you thought you had everything you needed out of the box, BSD software has something for you. You’ll wonder what took us so long. MediaWidget is an easy to use iPod utility designed to help you get more out of your iPod. Recover lost or missing music, backup and restore all of your iPod content, play music on your PC directly from your iPod, and that's not all. 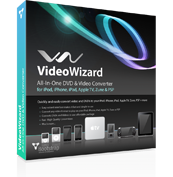 With VideoWizard, you can convert DVDs and video files of all types to play on your iPhone, iPod, iPad, PSP, Zune, and AppleTV, all from a simple, easy-to-navigate interface. DriverHive maintains and improves your PC's performance and stability by ensuring your device drivers are always up-to-date. iTunes, iPod, and iPhone are registered trademarks of Apple Computer, Inc.
You appear to be accessing our site from a Macintosh computer. Unfortunately, we do not currently have a version of this product which works on Macintosh computers. If you are planning on using MediaWidget from a Windows computer or using Bootcamp, then please pardon us for the interruption and click Proceed to continue with your purchase. Thank you for your interest in MediaWidget!